Why are there so few women directors on the boards of American companies? Is there a "Silent Quota" embedded in board selection? And what do the shareholders think? Here, a panel of directors and industry observers give their views. “The recruitment of women and minorities to the boards of U.S. companies has not changed in the last three years, “according to the January/February 2003 issue of "The Corporate Board" magazine, which reports that women account for only ten percent of all directorships. Some board watchers feel that a “silent quota” pervades many boardrooms. One view holds that with the new focus on governance, shareholder activists are likely to target boards that don’t adhere to good principles of governance, of which board diversity is clearly one aspect. As members of The Financial Women’s Association of New York, which works toward putting more women in the boardroom, and continues to be dismayed at the dismal statistics, we decided to explore questions about the lack of women on boards, with a panel of directors and individuals who closely watch governance practices and policies. QUESTION: IS THERE A DIFFERENCE IN BOARD BEHAVIOR WHEN WOMEN ARE ON A BOARD? "Women on boards cause different behavior, which is good. A well-educated female director on our board, who had not worked outside the home nor had commercial training, was thoroughly prepared for every meeting and her comments were incisive. I think women take the board role more seriously than men, some of whom don’t even read the materials before the meetings. I think it’s a good sign if there is more than one woman on a board." HENRIETTA HOLSMAN FORE, the Director of the United States Mint, was Chairman and CEO of Holsman International, an investment and management company, and Chairman and President of Stockton Products, a building materials company. Prior to joining the Mint, she resigned board positions, which include the Dexter Corporation and HSB Group Inc.
"Anyone who serves on a board needs to have his or her ideas reinforced. Sometimes it’s hard for women’s voices to be heard. I have observed that women, rather than men, are more likely to reinforce the points made by other women." ROBERT ABER, Senior Vice President of the Corporate Client Group at the NASDAQ Stock Market Inc.
"Women participating on boards add to the civility of the discourse -- and in general are exquisite listeners and thoughtful in exploring complex issues." PATRICIA M. HALL, Managing Director and a Principal of Hallmark Capital Corporation has 20+ years in financial management, has sat on eleven private company boards, and currently chairs an audit committee. "I see no difference in board behavior -- this may be because I’m on the boards of privately held companies with revenues of $200 million or less. Smaller companies tend to have smaller boards with less redundancy of skills, though I feel they are committed to a level of diversity. I was sought primarily because I am a financial professional, but also because I am a woman. I think my boards felt, ‘Let’s get both in one package!’ I never feel that I am a token -- I feel respected as a true contributor to the governance of these companies." RICK SMITH, Vice President, Clark/Bardes Consulting, specializes in governance issues, and board and executive compensation. "Initially, there is always an imperfect level of comfort with any new board members, men or women, until they become integrated into the workings of the board. I’ve seen many situations where male members of a board are very pleasantly surprised that a new female director not only brings the needed skills but also has very good ideas." QUESTION: WHAT ARE WOMEN SEEN AS CONTRIBUTING TO THE BOARD? "Clearly women provide a variety of professional skills that can add to the strategic focus of the board, be it in finance, law, science, politics, business, the arts, medicine, academia, technology, and on and on..."
"There may not be an instant impact, but I see very strong women joining boards and I see them helping boards make better decisions -- they do not hesitate to share their points of view and to put forth workable and creative suggestions." "Women can contribute largely the same things as men although they also bring a diversity of analytical and leadership skills, particularly in areas of consumer issues, governance and succession, and CEO leadership. Women often can counsel male CEO’s more effectively than can other men. Many CEO’s are married (or at least have mothers!) and are more accustomed to counsel from a woman than from another man, especially a business peer." "The questions posed by women board members come right to the heart of the issue; there is no posturing. They’re generally more willing to ask the tough questions. I have observed a number of men who are sitting CEO’s who don’t want to ask something they think they should know or admit they “don’t understand” an issue. A recent study found that women have a higher ethical standard than men, which is of particular interest in today’s environment." "On my boards I’ve never seen the so-called woman’s point of view sought. Because these boards are smaller and need to find directors from a variety of disciplines, gender is a non-issue. They are all B2B companies; they are not consumer-focused so they may not feel that the board needs to represent the same mix as the customer base of a consumer products company." QUESTION: ONCE A BOARD HAS TWO OR THREE WOMEN, IS THERE A “SILENT QUOTA” FACTOR THAT KICKS IN? "There is something to the concern about the “silent quota.” I would guess that many boards that have one woman on the board are still “good old boy network” boards." "If I had Meg Whitman (CEO of E-Bay), Carol Bartz (CEO & Chairman of Autodesk), or a Tracy Wan (President and COO of The Sharper Image) on my board, I would want to increase that board by as many women of that stature as I possibly could -- then the idea of a “silent quota” would clearly have no relevancy." "I couldn’t agree more with the “silent quota” factor. In some companies once one woman joins the board the board feels it’s done its duty. There’s a subtle male fear operating -- they subconsciously fear the whole tenor of the board will change if more women join." "In the past the “silent quota” existed far more than today. With the new rules, regulations and deeper scrutiny of boards, the emphasis on skills, experience and the ability to contribute to the vitality of the board are creating more opportunities for qualified women." QUESTION: WHAT NEW OPPORTUNITIES ARE THERE FOR WOMEN TO JOIN BOARDS? "Companies must urge their recruiters to focus on female candidates. Search firms need to push this concept. With today’s focus on financial expertise and with accounting firms under duress there may be an opportunity for the accounting firms to put together financial training programs that would help qualify more people in general and women in particular to serve on boards, especially on audit committees." Another reason there are relatively few women on boards is that there is still a glass ceiling (meaning, there are still few female CEO’s) and many companies are still looking for sitting and former CEO’s to fill their board positions. I see more women at junior levels, for instance, in investment banking, although there were no female Managing Directors on my transactions. Firms still have a long way to go. Women are still expected to perform at a higher level than men to be successful." "Boards should reflect the population -- 52% of the workforce is made up of women. It’s logical then that at least 50% of the board should be females. The answer really lies in board-by-board sensitizing and lobbying. It’s extremely annoying that there are 80 some odd Fortune 500 companies that don’t have any women on their boards and some who have only one woman --that is shameful. Professional women’s groups in Boston, Atlanta and New York have brought the issue to light and in some cases their efforts have placed women on boards. If local women’s groups took on the companies headquartered locally, attended shareholders’ meetings and asked questions in a non-threatening way, it might start the ball rolling. It doesn’t take a lot of time -- all they have to own is one share of stock of public companies. With private companies the demand for more women directors needs to bubble up within the company. Local groups need to get involved -- shareholder meetings unavailable as a door opener -- but they can ask to meet with the chairman once a year and offer to help find qualified women." 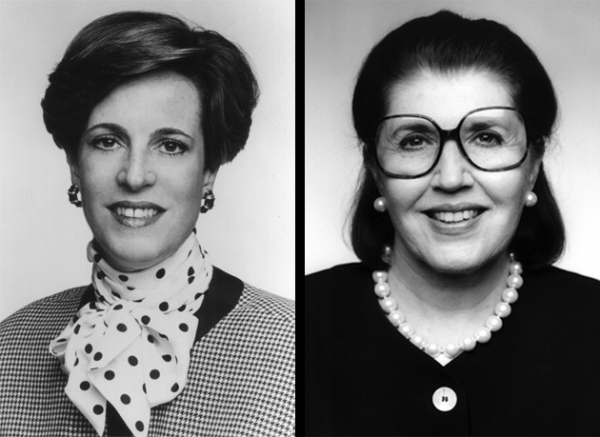 "Women generally started serving on boards by bringing their financial skills to the table. During much of the 1990’s there was a focus on recruiting people with skills in technology and international business. The new area of focus is now corporate governance. Boards today need outside experts who can bring an independent viewpoint. Women have tremendous opportunities to provide this perspective, but they must take the time to educate themselves. Governance is more than just judgment, but women are well-suited to bring this needed fresh and independent point of view." "Clearly, knowledge of governance can burnish any candidate’s resume. But now, the qualification process is much more rigorous than before and, to be in the pool that recruiters and others look to, it behooves female executives to develop as well-rounded a business and community service background as possible, especially in areas where their expertise and credentials can help them become better known for the outstanding qualifications they possess." "There is a watershed opportunity for corporations to approach board selection from a more strategic perspective in terms of adding professional skill bases and strengths to the board. A complement of professional women is a natural and logical pool of resources to fill those strategic roles. Additionally, Sarbanes-Oxley is a catalyst to broadening board participation, specifically with regard to increasing professional women who add value to the boardroom. We are working with a number of recruiters who specialize in board placements to jointly sponsor education of board members and corporations on how to recruit for their boards. The critical issue at this juncture is matching up the talent pools of women professionals and the recruiting firms doing strategic placement for these boards to ensure that this pool is being adequately tapped." QUESTION: WHAT IS SEEN AS A DOWNSIDE OF HAVING WOMEN ON BOARDS? "I don’t see any downside whatsoever to having women on boards." "A woman director may have more difficulty integrating herself into the board. She may have to work harder for everyone to be comfortable enough with her to bring up thorny and sensitive issues. The first few board meetings are far different from the congeniality during the interviews of the candidate. The “honeymoon” period may need to be longer, especially if the new woman director is the first female on the particular board." "The downside, of course, of having women on a board is the same as it is for men if they come to meetings unprepared and are serving only for the prestige, not to do the work." "Absolutely none! You’d have to be nuts to think there is." QUESTION: PAT, YOU HAVE BEEN A PRIVATE COMPANY BOARD MEMBER FOR A LONG TIME. WOULD YOU GO ON A PUBLIC BOARD? "I used to want to very much, but I’m starting to rethink that goal. I truly enjoy helping a company grow -- I don’t particularly want to take on the kinds of risks currently challenging board members of public companies." Martha Clark Goss, of Blaqwell, Inc., is a corporate governance/risk management consultant, and has been a director of Fortune 500 and privately held companies. She has over 30 years experience as a senior executive of Prudential Insurance Company and Booz-Allen & Hamilton as well as a high tech startup. She is a former board member of The Financial Women’s Association of New York. Lucille V. Corrier, a partner with The Townsend Group, is a marketing consultant for financial/professional services companies, and is in residential real estate sales with Insignia Douglas Elliman. She is a past president and current board member of The Financial Women’s Association of New York.